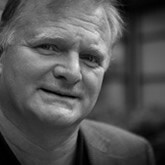 Bjarte Bogsnes has a long international career, both in Finance and HR. He is currently heading up the Beyond Budgeting implementation at Statoil, Scandinavia’s largest company with operations in 36 countries and a turnover of 100 bn USD. The problems with traditional management, including budgeting. The Beyond Budgeting principles and companies on the journey. a) redefining performance – dynamic and relative targets and a holistic performance evaluation. b) dynamic forecasting and resource allocation and no traditional budgets. c) from calendar-driven to event-driven; a more self-regulating management model.